You are invited to a special community event to celebrate science and to highlight all the hard work done by our district student scientists and teachers. 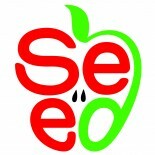 On Monday, April 16th, SEED, a community organization dedicated to supporting academics, will join with our school district to jointly sponsor the fourth annual all-district Celebration of Science. All fifth graders, as well as our sixth grade science research students, will exhibit science projects for everyone in the community to see. Our middle school and high school research students, robotics students, ecology club, Olympiad teams, and other science activity teams will sponsor demonstrations and exhibits of their work. Everyone in the communities of Bayport and Blue Point are invited to attend. The evening will end with an especially exciting show, UP, UP & AWAY, performed by Mad Science of Long Island followed by raffle drawings. RESERVE THE DATE: April 16th, 2018 High School gym 6:30 – 8:30 in the evening. All students must be accompanied by a parent. We hope to see you on April 16th with your family and friends. NOTE: Visit Berry Fresh on Montauk Hwy in Bayport on Saturday, April 21st to sweeten your day and support our students! See the attached flyer and share with friends and family. This entry was posted on March 22, 2018 by SEED Info in Uncategorized.